Friday, September 27th was my birthday. I received my share of gift cards and a couple of ties. 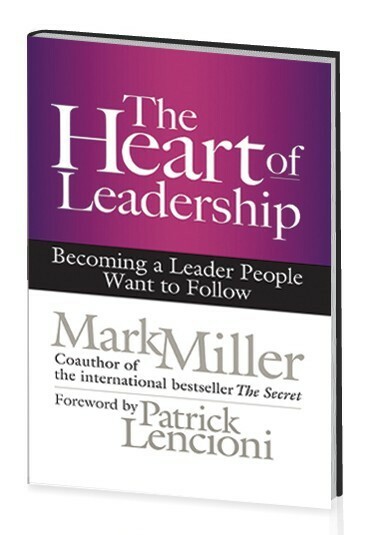 I also received a copy of the book, The Heart of Leadership: Becoming a Leader People Want to Follow by Mark Miller, and it was my favorite gift of all. 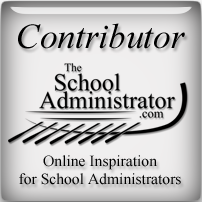 As you know, I’m on this journey toward school administration mastery, and I’m learning something new every day. What I’ve been focusing on, however, was on learning strategies to better communicate with parents and teachers, along with ideas on how to motivate staff, manage the budget, lead meetings, etc. After reading Mark’s book, however, I realized that what I need to start focusing on is not only improving my skills of a leader, but improving my leadership heart. I found Mark while browsing through my Zite app under the leadership category. I was so impressed with his HEART of Leadership message that I created a poster that I have framed in my office. When I learned that he was writing a book, I had to have it, and it just happened to arrive on my birthday. As soon as I started reading the book, I was surprised first of all that it wasn’t like other books about leadership. It wasn’t a textbook. It was actually a book that told the story about a character who was on a journey to be a “different” kind of leader. The lesson he learns right away is that the perfect picture of leadership is like an iceberg. The 10% of the iceberg that is seen above the water line is a person’s leadership skills. The 90% that is below the water line is a person’s leadership character. The book follows the main character, Blake, as he learns how to build his below-the-water-line leadership character. The Heart of Leadership is not a book written specifically for school administrators, but it is without a doubt a book that every school administrator should read. We are in a different kind of leadership position. We are not out to increase a company’s revenue or promote a particular retail product. Our leadership is needed to impact the lives of children. We have, I believe, a higher calling than perhaps the CEO of a company. Our leadership will have an effect on the future of our country and even our world. For this reason, my journey toward school administration mastery will be a journey to not only attain the necessary skills needed to lead, but also to gain the character of a leader. I will focus my efforts on being that kind of leader that Mark’s book encourages us to be. Thanks Mark for my birthday gift. It was exactly what I wanted.